Higher education is going through a profound transformation as students seek out more diverse options to prepare for their future. To adapt in this time of change, you need to find and hire the right staff quickly to make your institution stand out and thrive. The way people search for new job opportunities is changing too. 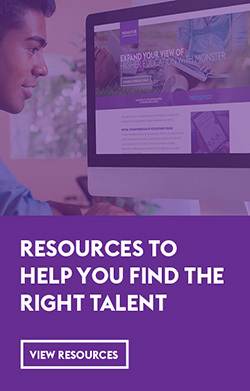 You need access to a broader talent pool of diverse professionals, as well as powerful tools to engage the right people. It’s time to expand your view of recruiting and Monster has the power to help. Only Monster provides higher education institutions with powerful recruiting solutions that combine one of the world’s largest talent networks with innovative tools to find and hire the best candidates with precision. Learn more about our expansive talent network and recruiting solutions. 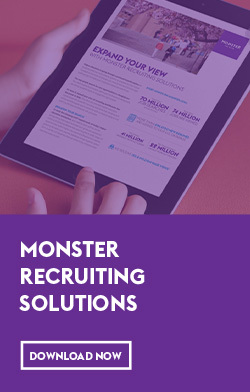 Monster Social Recruiting tools helps your institution stay in front of candidates where they live online and on mobile devices. Monster Job Ads is one of the front running job posting tools in the country. Monster got its start over 20 years ago by having the most popular job ads anywhere in the world. Since then, Monster has continued to refine and evolve its Job Ads solution to stay ahead of modern recruiting practices. Through our Monster Diversity Network, Military.com, and more than 1,000 newspaper partnerships across the United States, Monster helps you reach targeted communities of active job seekers to cultivate a diverse and inclusive educational environment. Let Monster Power Resume Search evaluate your resumes as an experienced recruiter would by automatically matching candidates to meaningful qualifications such as skills, education, and location — and most importantly, on recent and relevant experience. To learn how Monster can partner with your institution to find and hire the right staff contact us here.